I concluded in a previous post that the Jewish God is abstract. As an analogy, I offered the mathematical concept of ∞ or the imaginary number i (defined as √-1), which we cannot conceptualize directly based on our experience in the physical world. Before we dig deeper into the idea itself, I would like you to stop and think for a moment what an incredible intellectual achievement it was to come up with such a concept. It dates all the way back to our forefathers 3,000-4,000 years ago. In those days, people believed in many Gods, some concrete and some mythical. 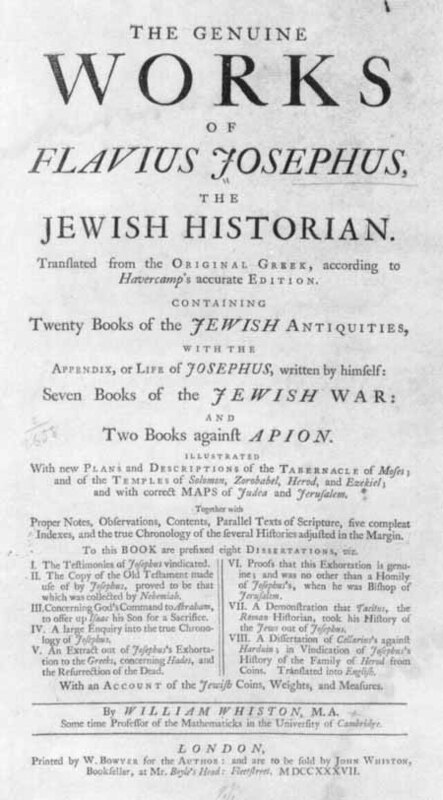 But no one before the Jewish forefathers believed in a completely abstract God: a God that does not have any representation in a specific form and cannot be imagined in space or time. This was an amazing intellectual leap that truly came out of nowhere (and if you are wondering about the Greek philosophers, that was a thousand years later). While many ritual, prosaic, poetic and linguistic elements of Judaism can be traced back to their Egyptian, Sumerian, Hittite or Canaanite neighbors, the idea of an abstract God was truly unique and unprecedented. Egyptian gods and goddesses took part in creation, some brought the flood every year, some offered protection, and some took care of people after they died. Others were either local gods who represented towns, or minor gods who represented plants or animals. Sumerian and other Mesopotamian Gods were mythical but concrete. Each with their own specific attributes, desires and hopes. A collection of myths from Mesopotamia covers creation, the flood, Gilgamesh and other stories. In the Mesopotamian flood story, for example, the Gods got angry because the humans were making too much noise. And, when the humans stopped sending them sacrifices, the Gods got hungry. 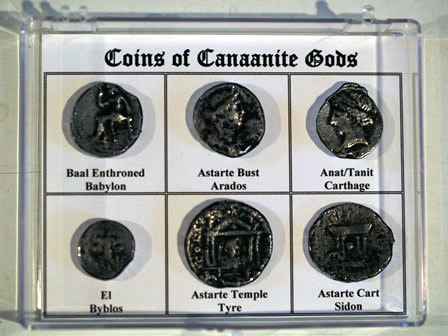 Images of Canaanite/Hittite Gods, such as Baal, Anat, and Ashera (all mentioned in the Bible) were uncovered in Ugarit and other locations in the land of Israel and its surroundings. 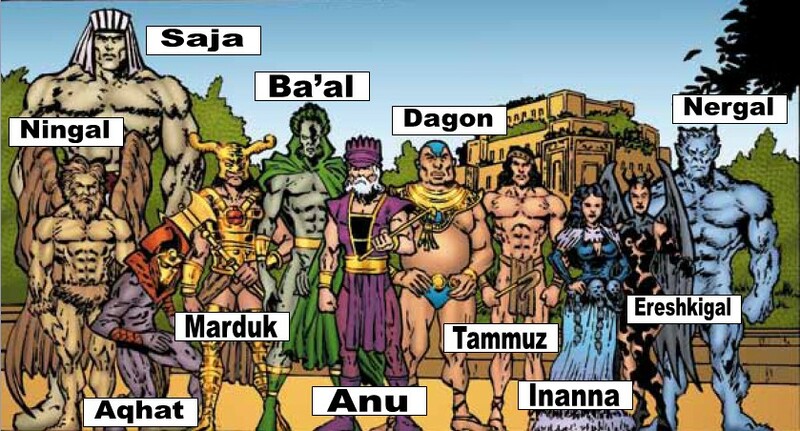 They were mythical, and had areas of expertise, but they also had concrete personal relationships, for example: Anat was the sister / lover of Baal. It is against the backdrop of this vast pantheon of concrete Gods that we can begin to appreciate the intellectual leap that Abraham took. No single idea has impacted civilization, culture, religion and history as much as Abraham’s insight. We usually call Abraham the father of monotheism. That is certainly true, but from a Jewish point of view, it is even more important to underscore the abstract nature of the Abraham’s one God: a God which has no concrete representation or attributes. The Bible itself does not directly attribute this intellectual leap to Abraham, but some of the other ancient sources do. Now Abram… was a person of great sagacity, both for understanding all things and persuading his hearers, and not mistaken in his opinions; for which reason he began to have higher notions of virtue than others had, and he determined to renew and to change the opinion all men happened then to have concerning God; for he was the first that ventured to publish this notion, That there was but one God, the Creator of the universe; and that, as to other [gods], if they contributed any thing to the happiness of men, that each of them afforded it only according to his appointment, and not by their own power. This his opinion was derived from the irregular phenomena that were visible both at land and sea, as well as those that happen to the sun, and moon, and all the heavenly bodies, thus:—”If [said he] these bodies had power of their own, they would certainly take care of their own regular motions; but since they do not preserve such regularity, they make it plain, that in so far as they co-operate to our advantage, they do it not of their own abilities, but as they are subservient to Him that commands them, to whom alone we ought justly to offer our honor and thanksgiving.” For which doctrines, when the Chaldeans, and other people of Mesopotamia, raised a tumult against him, he thought fit to leave that country; and at the command and by the assistance of God, he came and lived in the land of Canaan. And when he was there settled, he built an altar, and performed a sacrifice to God. not: Worship the God of heaven, Who causeth the rain and the dew to descend on the earth, And doeth everything upon the earth, And hath created everything by His word, And all life is from before His face. Whether the idea of an abstract God originated with Abraham or with Moses, we know that it was not an easy idea for the Israelites to comprehend and put into practice. Indeed, almost every transgression of the Israelites in the Bible can be traced back to the worship of a concrete God. Most of the later prophets and kings spend their whole careers fighting against idolatry: the worship of a concrete representation of God. And the entire Mount Sinai smoked because the Lord had descended upon it in fire, and its smoke ascended like the smoke of the kiln, and the entire mountain quaked violently. The sound of the shofar grew increasingly stronger; Moses would speak and God would answer him with a voice. 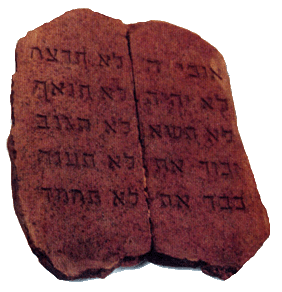 One chapter later, in Exodus 20, the Israelites received the Ten Commandments, and in the next few chapters, many of the basic laws of worship, Shabbat and moral behavior were laid out in detail by Moses. You shall not accept a false report; do not place your hand with a wicked person to be a false witness. You shall not follow the majority for evil, and you shall not respond concerning a lawsuit to follow many to pervert [justice]. Neither shall you glorify a poor man in his lawsuit. If you come upon your enemy’s bull or his stray donkey, you shall surely return it to him. If you see your enemy’s donkey lying under its burden would you refrain from helping him? You shall surely help along with him. You shall not curse a deaf person. You shall not place a stumbling block before a blind person, and you shall fear your God. This one ingenious verse distills the entire concept of Jewish morality into two simple scenarios. It instructs you by “showing” rather than “telling”. It vividly describes two extreme examples where you could perform an immoral act completely anonymously, and prohibits you from taking advantage of this anonymity. The inevitable conclusion is that you should not perform morally wrong actions even if there is no chance that you will get caught, and even if the person whom you are harming will never be able to attribute it to you. Abraham Joshua Heschel more recently rephrased this idea in modern terms by saying that you should live your life as if there is a candid video surveillance camera aimed at you at all times. In other words, even if you consider yourself secular, you will be a more moral person if you live your life as if you are being constantly watched. If you think about it, that is the essence of an abstract moral God. First we will follow the laws, and then, we will try to understand their meaning (we’re still trying). The Hebrew root of ‘שמע’ is ‘to hear’, but also ‘משמע’ is ‘meaning’. 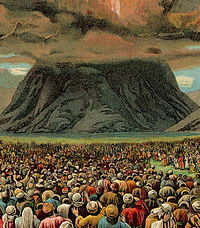 The concept of Shabbat was unique to Judaism and remained that way for centuries. We can read in the Books of Maccabees (2nd century BC) how the Greeks mocked the Jews for taking a day off every week to rest. This was viewed as lazy and irrational behavior in the ancient world. Today, we mostly live in a world of 2-day weekends, and the idea is obvious and unquestionable for us, but back in the tents of the Israelites 3,000 year ago, the requirement that you cannot be a 24/7 workaholic was a social innovation of epic proportions. But right then and there, in Exodus 33, after having been exposed to the most advanced religious, moral, social, and cultural thinking of their day, the people still found it impossible to comprehend that the source of these laws is an abstract entity called God. They needed something more concrete. 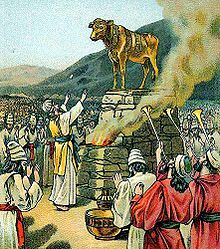 And so, they built the Golden Calf. The anger and frustration Moses felt when he saw this, led him to smash the tablets and eventually start over. The people missed the most important part of his message: that moral laws cannot obtain their authority from one or more concrete persons, or from an object created by a person. That moral law must originate from some higher abstract entity that cannot be disputed, overruled, or outvoted. This theme recurs over and over in the Bible. The Israelites keep straying from this notion of an abstract God and reverting to the practices of the concrete Gods of their neighbors. Since these Gods are arbitrary creations of local kings or priests, their moral values are not absolute, and they inevitably lead to immoral behaviors. Generations of philosophers have tried to take God out of the moral equation. Kant called it a Categorical Imperative. Others have called it the Golden Rule. The notion that an abstract God represents a moral ideal is one that even many secular Jews can accept. This gets back to the analogy of infinity with which I started this post. In math, we have a notation of a limit: a value which we can get closer and closer to but never quite reach. It is possible to think of God as an abstraction of the upper limit of moral behavior, which we can try to get closer and closer to, but never quite reach. Such a God gives us something to strive for, “challenges” us to do better, “watches” and “judges” our progress like Heschel’s surveillance camera. I put these words in quotes because they refer to our own perceptions rather than actions actually performed by God, which would violate the abstract nature of God. The separation of what we can actually achieve in relation to God’s ideal morality is embodied in the Jewish notion of holiness or Kedushah (קדושה) . Ethics and Religion: In Judaism religion and morality blend into an indissoluble unity. Seeking God means to strive after holiness, righteousness and goodness. The love of God is incomplete without the love of one’s fellowmen. Judaism emphasizes the kinship of the human race, the sanctity and worth of human life and personality and the right of the individual to freedom and to the pursuit of his chosen vocation. 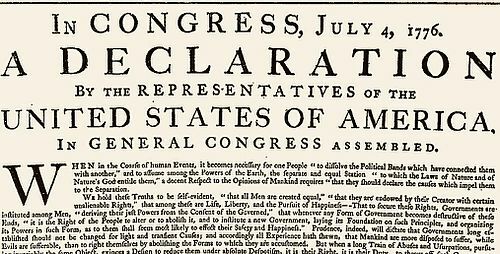 justice to all, irrespective of race, sect or class, is the inalienable right and the inescapable obligation of all. The state and organized government exist in order to further these ends. Next PostNext Article Take The Fifth!